The New Zealanders might have just overtaken Australia in the race to modernised animal sheltering industry. Over 125 years ago, New Zealand opened its first Society for the Prevention of Cruelty to Animals, or SPCA. Today, proving that even an ‘old’ organisation can lead the way in modern thinking, they have pledged their dedication to a No Kill future for New Zealand. The Saving Lives philosophy is that every life is precious, and with that philosophy comes the need to help every animal into the fulfilment of life, so long as its quality of life is preserved. Calling their program ‘Saving Lives’ rather than ‘No Kill’, they reaffirm that they are in the “business of saving lives” and call on their staff to “becomes passionately committed to supporting its philosophy” and “accept the philosophy that Saving Lives is totally achievable”. But this isn’t just feel-good piffle. To move towards their No Kill goals, they first had to take a long hard look at their policies, identifying the common causes of shelter killing, and take audit of each one’s validity. One of the major breakthoughs from this audit, was the identification of a cultural problem with exisiting euthanasia protocols. Rather than use the protocols to make compassionate decisions, the documentation and policies had become a way to defend killing and absolve individuals of the responsibility. Accountability allows, and indeed requires, flexibility. Too many SPCA centres lose sight of this principle, staying rigid with their protocols, believing they are engraved in stone. They are not. The organisation’s pledge to maintain protocols and procedures orientated towards preserving life, means they must find solutions to the common reasons for shelter killing. “Cat flu is not a reason to kill cats”. In an eight-year study conducted in Auckland, approximately 40% of incoming cats developed ‘snuffles’ (in the first year of the survey). Various methods, including efforts to reduce the stressful environment, in addition to cleaning regimes, have reduced this figure to 25%. With the development of isolation areas providing the opportunity to treat those affected, the success rate for treatment has increased from 34% (annual average) to 61%, while euthanasia of snuffles sufferers has dropped from 24% to 3% in the treatment area. These figures clearly indicate that a combination of stress-free environments, cleaning regimes, strict isolation areas and the correct medical treatment can have a direct effect on saving lives from “snuffles”. The use of foster homes is ideal in isolating ringworm from an SPCA centre. However, such fosterers need to be dedicated to the task and, due to the length of treatment, are “put out of action” for the fostering of other animals for a lengthy period of time. The use of off-site adoption events to rehome these animals will ensure that they do not return ringworm to the centre. The use of a team of ‘special needs’ foster carers, coupled with a healthy, stress-free environment, strict isolation and treatment regimes mean a commitment that pets with ringworm will be saved. The group also treat skin conditions (flea allergies and mange) either on site, or in foster. By offering full disclosure and treatment plans to new adopters, pets with skin conditions are able to finish their recovery in their new homes. If we are to save lives we need to cater to these special problems by providing facilities that can attend to their needs and, of equal importance, that involve rehabilitation methods requiring the expertise of those qualified to provide the help needed to restore them to normality. When referring to cats, ‘feral’ is not in the group’s vocabulary. By definition, “feral” cats do not have contact with or dependency on humans. Accordingly, centres are very unlikely to receive genuine “feral” cats. Incoming stray cats will normally be abandoned previously owned companion cats or possibly cats from colonies. Either way, they will not appreciate being trapped and will show their displeasure in no uncertain terms. For this reason they are described (incorrectly) as “feral”, when in fact they are “wild” (unused to handling, resenting capture, possibly never domesticated), “scared” (frightened by their captivity and uncertain of their future), or “timid” (naturally mistrusting and unsure). Such cats deserve the chance to live, and should be given the opportunity to adjust and relax a little over a few days rather than being hastily dispatched. Dogs get a similar level of respect, with the recognition that the behaviour of dogs is a product of their previous environment and that with time, patience and training – most dogs with perceived temperament problems can be successfully adopted. Any temperament assessment should be aimed at “getting to know the dog” and whether any behavioural problems might exist that can be treated, rather than being aimed at putting it to the final test to determine its ultimate fate. Additional to “on-site” facilities, rehabilitation of behavioural problems, particularly with dogs, will include the input of independent and professional individuals. The variety of temperament problems may call for different advice, from either a veterinarian or a behaviourist. Correct behaviour adjustment techniques can be taught to staff/volunteers, which can prove a very real asset in the operation of a centre, resulting in the correct and professional handling of animals while in our care. The inability to save healthy young animals reflects badly on us as a welfare organisation, particularly when there are so many people in the community who would gladly volunteer themselves and their homes to foster the young until ready for adoption. Along with a requirement to overcome killing as a method of managing shelter pets, the organisation also needed to get those pets they have, out of the shelter. Identifying that the very first call for help is an opportunity for the shelter to lend assistance, the organisation works to develop relationships with local trainers, veterinarians and behaviouralists. These relationships are symbiotic, generating new clients for these businesses, and expanding the knowledge base of the shelter, though simple training for staff. High-volume, low cost desexing is at the heart of any successful life-saving programme to substantially reduce the number of unwanted births, and the number of animals surrendered to SPCA centres. It is fair to say that a proactive high-volume, low/no cost desexing programme is the best investment any centre can make in the fight to save future lives. Along with community desexing clinic, the organisation desexes all animals before adoption and seeks the support from local council animal management for desexing initiatives. Free, targeted desexing for at-risk pets in low income areas, desexing vouchers for semi-owned cat owners, mobile desexing facilities and proactive education campaigns bring the benefits of desexing to all pets in the community. An effective desexing programme has been proven in many cities internationally to virtually halve the centre incoming animal population within a decade of its introduction missed. A focus on the importance of microchipping. All adopted pets are chipped and the organisation run ‘snip and chip’ promotions. The requirement that all animals are scanned and that pet owners are contacted promptly. They also list found pets on the internet. SPCA facilities should be a great place to visit, with staff/volunteers happy and helpful professional people who are keen to assist as best they can because they want to, not only for the people they are serving but also for the animals they are dedicated to saving. of their visit to the SPCA. Hosting adoption areas with staff/volunteers who are helpful and knowledgeable is essential. Make sure that staff/volunteers are easily recognisable with suitable clothing and name tags. There is nothing worse than having the public looking for animals when there is no one they can find to help them with their selection. They ask that shelters name the pet to engage potential adopters (even if the animal is a stray) and that an information sheet is provided on the animal. These sheets are designed to accentuate the positive (“Not good with children” becomes “good with adults”) and all pets must be ready for adoption (behavioural and health problems resolved). A centre with a wide choice of animals is a successful centre, providing variety for “discerning shoppers”. If low on animals, source them from elsewhere (other SPCAs, pounds, rescue groups, etc). Dogs being walked, all wear ‘adopt me’ jackets to attract attention and a database of people looking for a particular ‘kind’ of animal is kept. Profiles of adoptable animals are also posted to the web. Price is presented as a recouping of a set amount of ‘adoption costs’ and special pricing promotions are used to attract adopters. ‘Two for the price of one’ kittens, special pet care giveaways, free food promotions. Inevitably, some animals (particularly cats) may be slow to adapt to their new surroundings, and may even become stressed, bringing on other “ailments”. New “owners” are generally nervous and may panic at such behaviour, often rushing off to their vet for advice and incurring associated costs which they may endeavour to recover from the SPCA. Provide a 14-day period where the animal will be covered for any associated costs at a set ceiling price (say, $50) at your expense. You will find that few people will claim this and, by setting a maximum, considerable money will in the end be saved from over-exuberant vets and anxious “owners”! Adoption vehicles in shopping centre car parks and outside pet shops or the use of retail space, display pets for adoption. Partnerships with local businesses can help get pets ‘seen’, and off-site adoption attracts people who may not even be considering adopting an animal. Where this has been practiced, it has been noted that off-site adoptions can account for between 20% and 40% of total adoptions achieved, and accordingly is well worth the effort. These promotions not only raise awareness, but are a great opportunity to fund raise. There are a large number of animal welfare groups and individuals who, in their own way, undertake the rescue and rehoming of many animals and to whom we should look to assist us in our mission of saving lives. These groups and individuals should not be viewed as “the competition” (as is sometimes the case), rather they should be seen as allies undertaking the same work for the same reasons we do. For, as long as unnecessary killing occurs in our own centre, rare would be the case where we would not utilise their assistance in taking custody of and rehoming those animals we have whose life is at risk. Get to know them all, and work with them to save lives. Training, equipment, food, litter and any medication required are all supplied by the SPCA to its foster homes, and a full support network of helpful staff or volunteer supervisors is also important to the programme. Keeping our fosterers happy is as important as keeping our animals happy! They also offer innovative foster programs, like ‘seniors for seniors’ and the adoption of foster pets by the foster homes. Volunteers have been described as a dedicated “army of compassion” and are the backbone of a successful centre operation. The organisation engage volunteers for animal care, but also public interaction and adoption support. …fortunately there are a large number of people who gladly give of their time to help animals – however, we need to ask them, train them, assign duties to them and look after them. There are a vast number of people who voluntarily tend to stray cats in the community, normally in a “cat colony” (which can be small or large) or in a controlled situation or on their own property. Such cats were mostly once companion cats who have been abandoned, while some are the offspring of those cats who were not desexed prior to abandonment. They assemble in colonies, requiring the support and assistance of humans for their ongoing sustenance and welfare. These people are dedicated to their task, spending many hours (and much of their own money) to care for these cats. Their sole objective is to save lives, and accordingly they are an essential part of this programme and deserving of our full support. Recognising the contribution of community cat carers is vital to reducing intakes and the number of cats dying in shelters. This organisation embraces their work and offers them the support they need to continue in their life-saving work. They formed the ‘Cat Coalition’, assisting with donated food and desexing vouchers and support to manage problems as they arise. The coalition members, in addition to being supported, also operate under protocols designed with the ongoing welfare of the cats and their care in mind. They expanded the program to include those people looking to surrender a ‘stray’ cat. Rather than accept a fractious cat from a surendee’s own property, the organisation offers the chance to adopt the cat as a ‘barn cat’, have it desexed and save its life. This organisation has taken on every aspect of the No Kill equation, and reclaimed its role as a life-saving resource in the community. What their experience has shown is that No Kill isn’t about what you don’t do (kill), but what you do, do… execute a series of proven, modern animal sheltering techniques that simply run in a contrary manner to convenience killing. 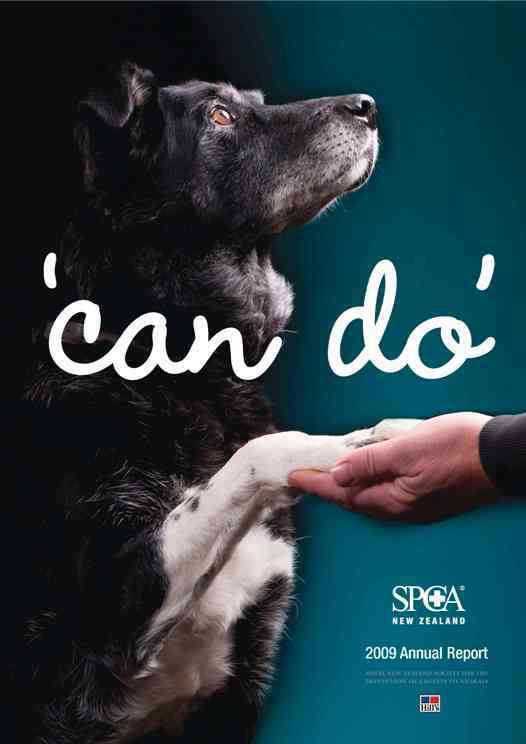 The fact that one of the oldest and largest animal welfare organisations in the country has taken the lead in moving New Zealand towards its No Kill future, is testament to the dynamic leadership of the organisation (see my previous article on Bob Kerridge from the SPCA here). The ‘Saving Lives’ plan from the SPCA New Zealand could be rolled out in any shelter tomorrow. It’s time that every Australian demands the same level of performance from our own animal welfare groups and seek out and support those organisations who are already on a No Kill path. Australian shelter pets also deserve a No Kill future.